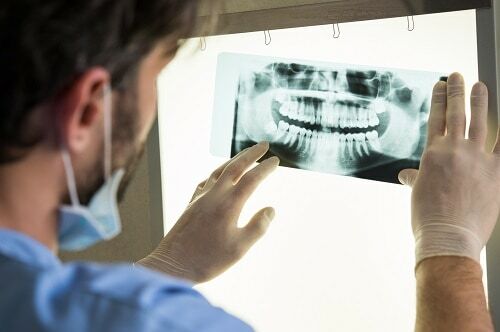 Taking x-rays allows your dentist in Strongsville to see any issues that may not yet have signs or symptoms, making them easier to treat before they lead to pain or more complicated treatments. Bitewing X-rays. Bitewing x-rays are the ones that can show cavities or areas of decay that may not yet be visible, or are lurking in hard-to-see areas such as in between teeth or fillings. These x-rays may also show bone density health and any deterioration caused by gum disease. Periapical X-rays. Just like bitewing x-rays, periapical x-rays are pretty common. You probably have had them taken and may not have even known it. These x-rays show images of the entire tooth, including the roots. The images allow your dentist to look at each tooth individually to make sure each one is structurally sound and bone levels are healthy and strong. Periapical x-rays can also help catch cysts and abscesses. Panoramic X-rays. Panoramic x-rays are used for the most complete view of your entire mouth. The images don’t only show all your teeth, but also your sinuses, jaw joints, and jaw bones. These photos can help determine if wisdom teeth are impacted and can even help diagnose a tumor. Dental x-rays are an important part of your preventive dental care and should be taken at least once a year, but sometimes we may recommend getting them taken at every bi-annual visit. The advancements in technology, along with the careful measures we take in our Strongsville dental office make dental x-rays incredibly safe and have low radiation emissions. If you’re concerned about dental x-rays, we welcome you to talk to any one of our team members.